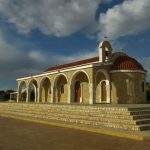 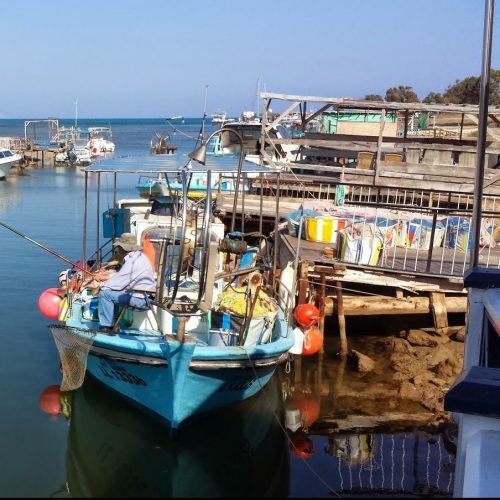 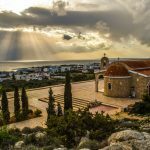 Ayios Epifanios Church - My Cyprus Travel | Imagine. Explore. Discover. 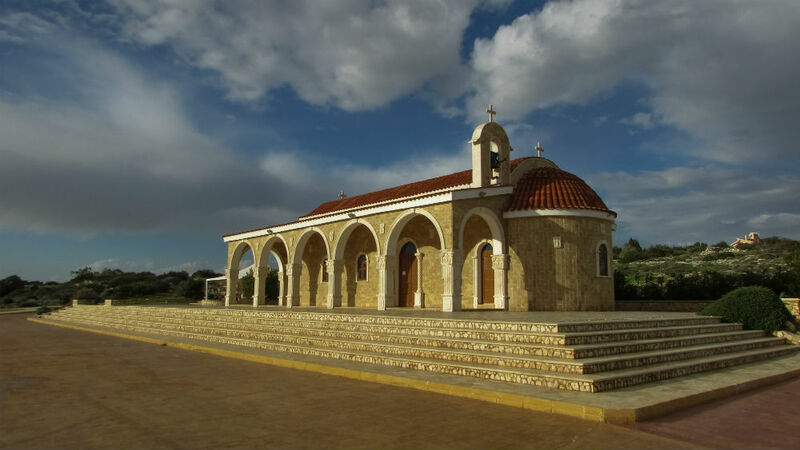 Another remote church of the Famagusta area, much like the secluded Ayia Thekla and the tucked away Ayioi Saranta church, Ayios Epifanios’ location offers great panoramic views of ‘Paliochori,’ a Byzantine settlement which was destroyed during the Arab invasion of 632 to 964 AD. 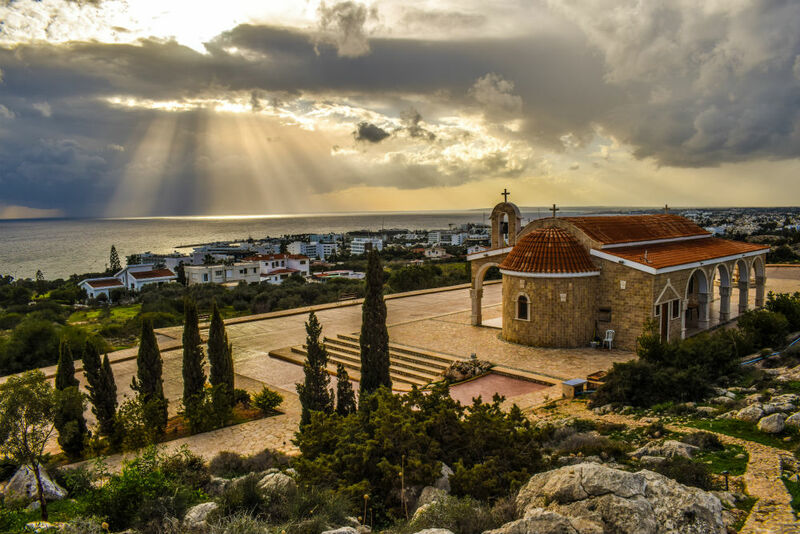 The church is devoted to the Byzantine Bishop of Salamis and lies on a slope of a cliff over the ruins of a former chapel. 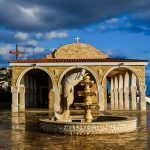 A larger and more modern church was constructed near the old chapel with the initiative of the Ayia Napa Municipality, the Ecclesiastical Commissioners and the Clergy. 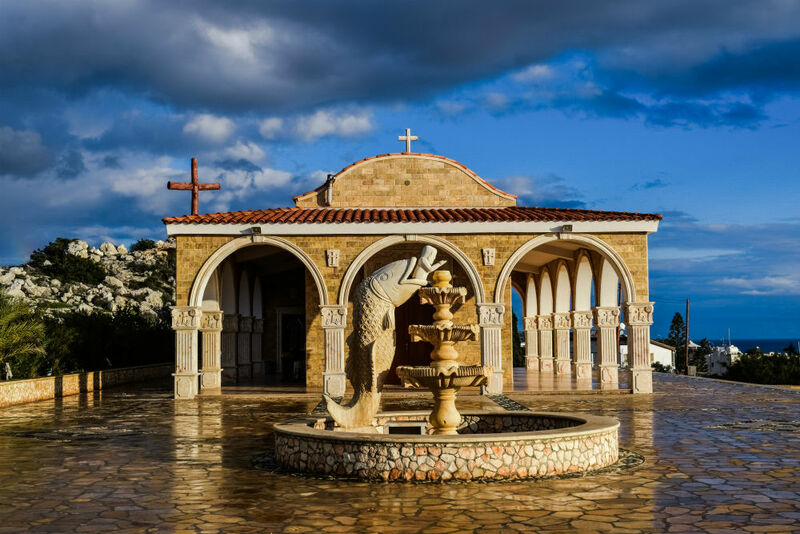 Now it is a complex consisting of the St. Epiphanius church carved into the rock, the little old church with a glass floor, and the new jeweled temple which is often used for weddings and other celebrations.